Common Questions About Dental Implants -Answered! We often get asked questions about dental implants so wanted to answer the most common queries here! If you’ve got any additional concerns, you can always get in touch by email or phone, or tweet us/send us a message on Facebook. Dental Implants are artificial substitutes and replacements for the root portion of your natural tooth. A titanium screw is placed into a pre-drilled socket, providing a stable support for the new tooth. Can a Dental Implant be used for a range of problems? An implant can be used in a few different ways, both for a single tooth replacements or for a full upper/lower arch. Dental Implants are a safe and long-standing treatment that you can feel confident with. At Gentle Dental Care Liverpool, we have been fitting implants for over 9 years so you don’t need to have any worries regarding the procedure. Like your natural teeth, how well you care for your implants will have an impact on how long they will last. Regular dental appointments are still needed and extra care when brushing can help your implants look and feel better for longer. As with all other surgical implants, there is no guarantee that dental implants will last a lifetime. At GDC, our implants start from £995. 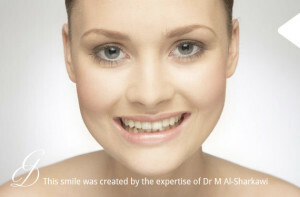 I.V sedation is free for implant patients, and we also provide a free consultation and 3D scan. How long does it take for the implant to heal? Once the implant is placed, it will be left to heal and osseointegrate within the jawbone, this can take between six weeks and six months approximately but with most of our implant cases, we find the average is around eight weeks. After the healing period has elapsed, our dentist will take impressions of the implant(s) and then seven days later the final restoration is fitted.